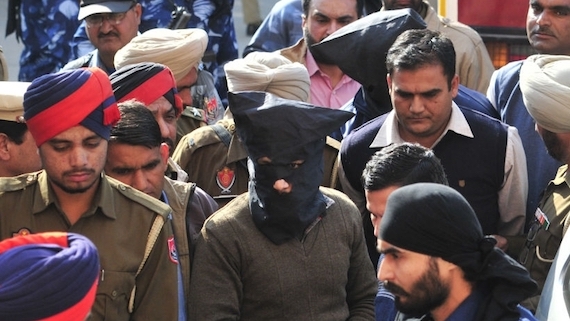 Mohali: The National Investing Agency (NIA) produced Ramandeep Singh Chuharwal and Hardeep Singh alias ‘Shera’ before an NIA special court in Mohali today. They were produced before the court of Additional Session Judge 1, Ms. Anshul Berry. NIA raise a plea for remand that was opposed by the defence. Afer hearing both sides, the court extended police remand of Ramandeep Singh and Hardeep Singh for 5 more days. Defence council, Advocate Jaspal Singh Manjhpur, said that the parents of Hardeep Singh, who were present outside the court, were allowed to meet their son for few minutes inside the court with the permissions of the court. Punjab Police illegally kidnapping Sikh Youths and asking from Rs 50 lakh to 1 crore to release them.